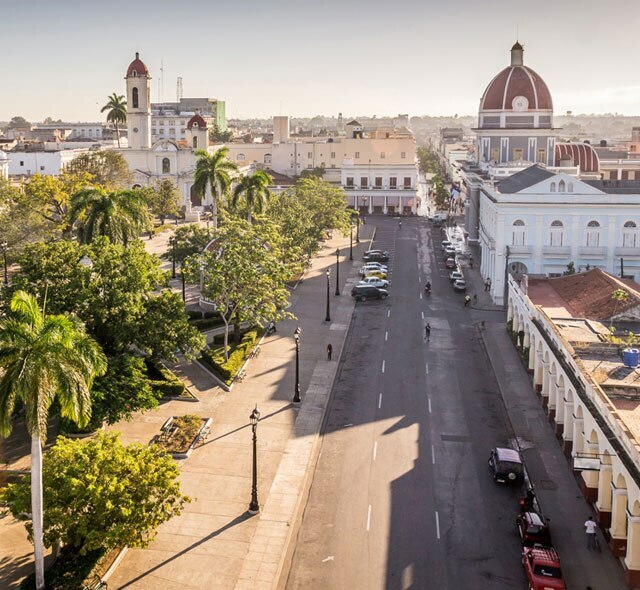 Situated on the southern coast of Cuba, Cienfuegos is an endearing, historical and glamorous destination – among the many reasons why its city center was inscribed as a UNESCO’s World Heritage Site. Spanish colonial buildings with a dash of French grace create an atmosphere you won’t find anywhere else, and the Punta Gorda, which juts out into the sea, houses incredibly ornate palaces, including the Palacio Azul with baby blue walls that blend in with the open sky. Be sure to stroll along long stretches of oceanfront promenades and mingle with locals under the palm trees swaying in the warm breeze.